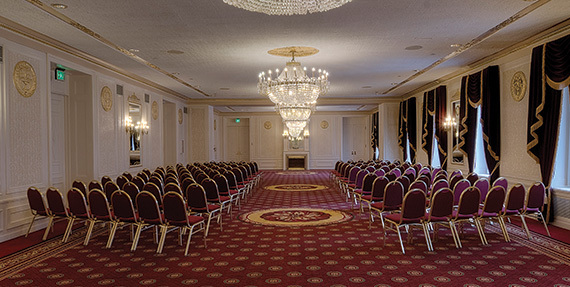 The Hilton Milwaukee wedding venue features five elegant Milwaukee reception halls and ballrooms. Each classic and beautiful space can be tailored to your individual needs, reflecting your unique style. Save your guests the steps when you book your ceremony space with us, and allow them to casually stroll from wedding to reception! Your wedding venue should be as timeless as the institution of marriage itself. 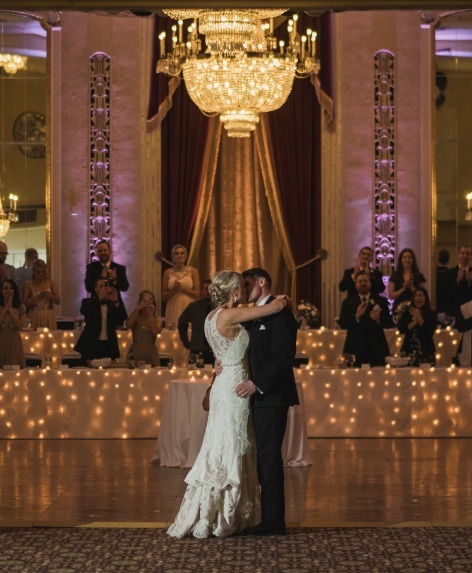 The historic Crystal Ballroom, dating back to the World War II era, sets the stage for an evening of romance: elegance defined through beautiful art-deco details, high ceilings, and graceful mirrors. 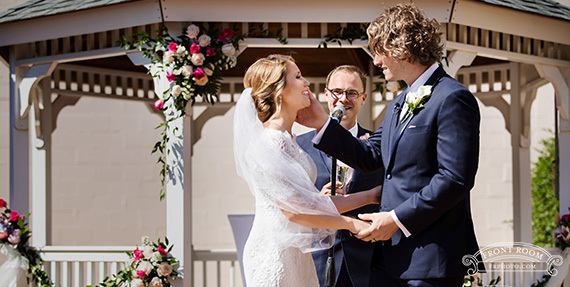 Its long and storied history has made it a favorite Milwaukee wedding venue. Immerse yourself in every lavish detail of the Empire Ballroom. Aptly named for its stylish décor that was popular in 19th-century France, this extraordinary tiered space boasts rich woods, gold-leafed adornments, and carpets and textured window treatments in deep russets. 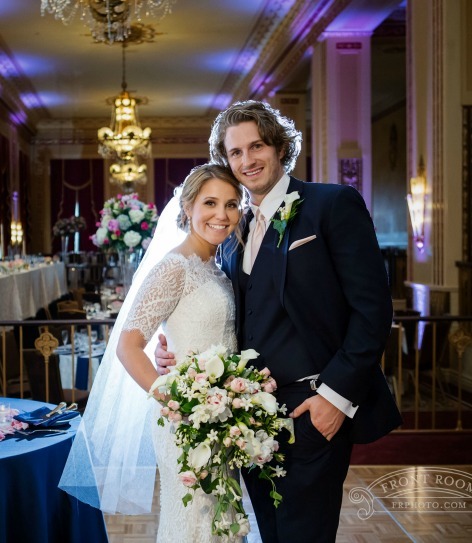 "There are so many different environments within the hotel that our photographer had a field day -- ornate ballroom doorways to frame a shot; a marble spiral staircase; this incredible gilded ironwork door/wall that can makes such a rich background for your shot."